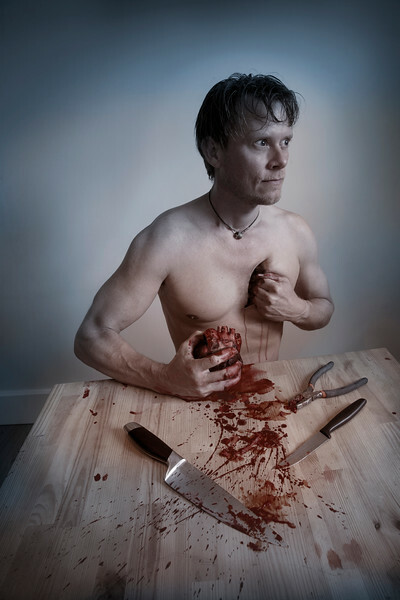 A man sits at a table, holding his own heart. He has cut out his own heart. Surreal photo-manipulation.